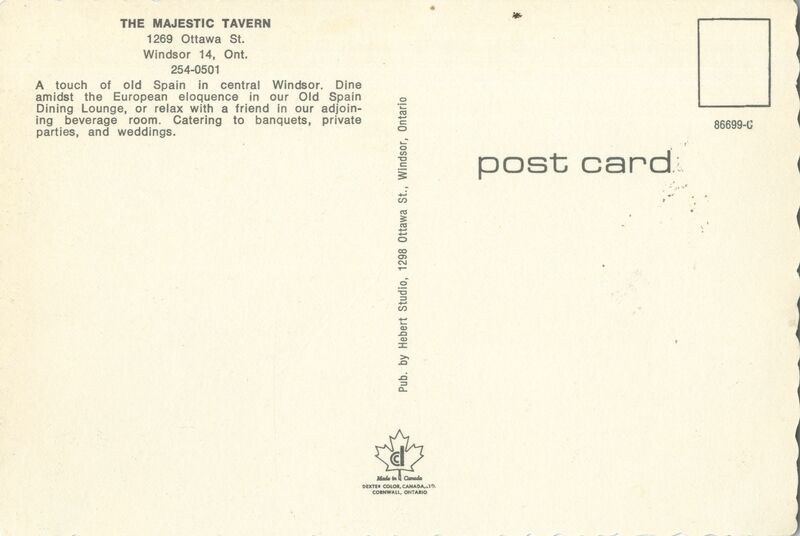 Home » Majestic Tavern, Windsor, Ont. 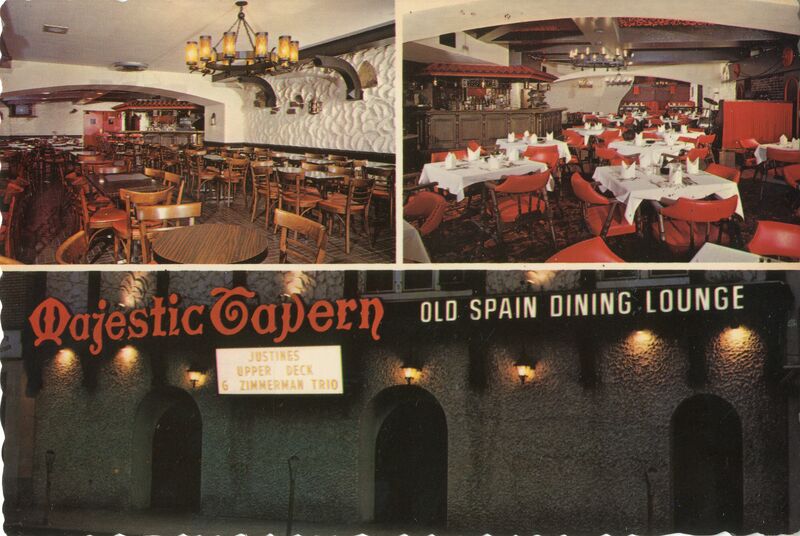 c. 1967; the Majestic Tavern, located at 1269 Ottawa Street in Windsor, Ontario; "A touch of old Spain in central Windsor. Dine amidst the European eloquence of our Old Spain Dining Lounge, or relax with a friend in our adjoining beverage room. Catering to banquets, private parties, and weddings."